Do you want to have a beautiful smile full of healthy teeth? Most people do, but think it is out of reach due to their teeth having too much damage. However, dental implants make it possible for anyone to have a beautiful smile full of healthy teeth. If you are interested in receiving dental implants Dr. Van Treese wants you to know some important information. First, in order to receive dental implants you need to have gum and jaw bone that are healthy enough to undergo the procedure. 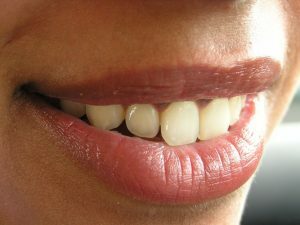 If your new teeth cannot be properly anchored to your bone under your gum line you may not be a candidate for implants. If you think this is true for you please contact Dr. Van Treese to receive a consultation. Next, Dr, Van Treese wants you to know that you have two options when it comes to dental implants. Endosteal, implants that go into the bone, and Subperiosteal, implants that go onto the bone. Endosteal – Utilizes screws or blades and are secured into your jaw bone. These screws then anchor several teeth in place. Subperiosteal – Are utilized for patients who have an insufficient amount of bone density for endosteal. Subperiosteal utilizes metal wire and your existing gum to fasten your dentures new teeth in place. Another thing to consider regarding dental implants is that it usually requires the work of both a dentist and periodontist. The following is an outline of steps in order to successfully receive dental implants. Tooth replacement – A dental crown or other type of restoration may be utilized to strengthen an existing tooth or teeth in order for it to be able to support an implant, bridge, or denture. Sinus Augmentation – A sinus augmentation maximizes your bone mass by lifting the floor of your sinus. Ridge Modification – Your gum line needs to be lifted in certain cases. It may need to happen to develop your jaw bone or to utilize the bone substitute which will help your implants last longer. Dr. Van Treese suggests to maintain regular checkups in order to keep your mouth healthy. If you see Dr. Van Treese regularly and take good care of your mouth at home your implants should remain healthy. If you are considering dental implants and are in the Sidney, OH area please contact Dr. Van Treese today at 937-492-6984.